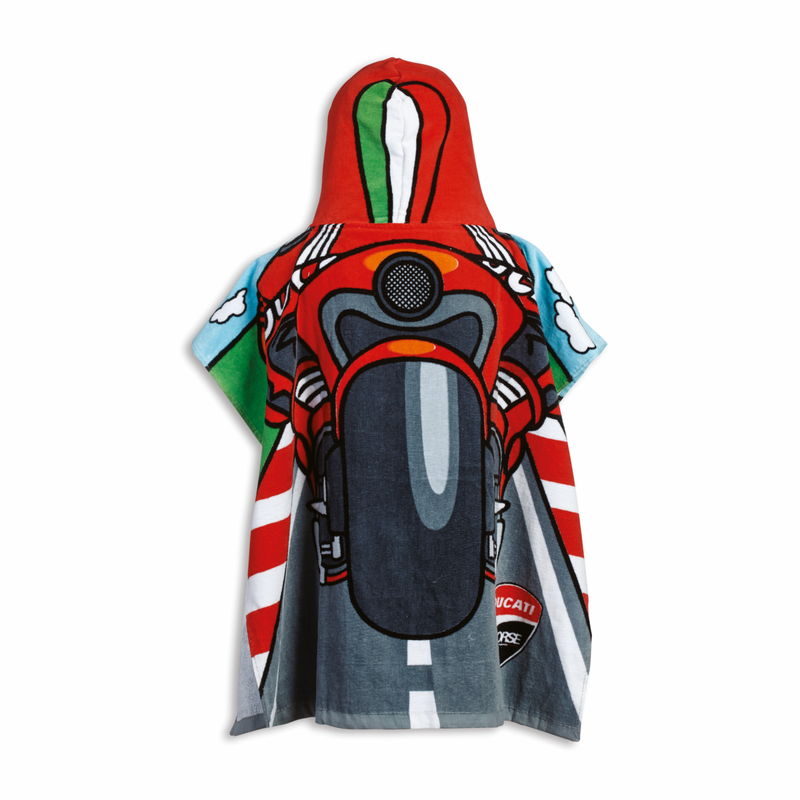 Square, soft and fun, the 100% cotton Cartoon poncho-style bathrobe is created in shearing velour towelling, with an external shiny effect and excellent internal drying quality. 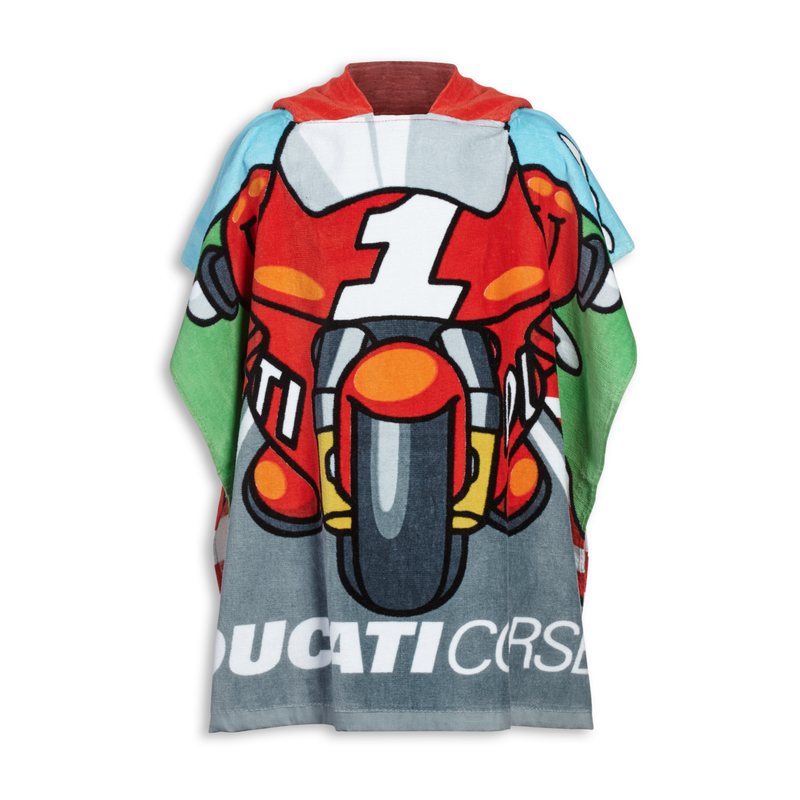 It keeps children warm and ensures quick drying, guaranteeing optimal comfort and ease of use as well as enhancing bath time... with the spirit of real baby Ducatisti. Available in one size, it measures 60x60cm.